JITA is the vocabulary to index and search in the E-LIS Open Repository. A manual for indexers could be useful. Part of ASKOSI Wiki is dedicated to the JITA classification itself: those Wiki pages are interlinked with the JITA classification as it is stored in the ASKOSI software . The community of JITA users and maintainers are invited to register to this Wiki and to contribute their observation, examples, suggestions in the pages dedicated each individual JITA concepts. For instance the JITA entry "Relationship of library and information science with other fields such as computing and communication science and cognitive science" as the permanent code THCO. It can be commented and discussed by pressing there the button "Concept Discussion" or by going at the jita(underline)THCO page in this Wiki. 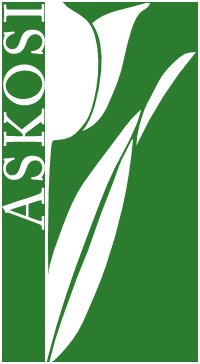 The language of ASKOSI software interface is english only for now. The language of ASKOSI Wiki User interface is the one you select in "My Preferences" (link at the upper right corner). The language of vocabulary terms displayed in both programs, is the one you select has your prefered language in your browser configuration. JITA is in so many languages: enjoy ! Those mappings will be included as LinkedData in JITA SKOS/RDF and will be improved as a part of JITA Maintenance project. SAQ is for "Sometime Asked Questions", the name of Belgium Poison Centre Wiki. There can be one page (and only one) for each concept in the thesauri (plants, animals, substances,...). is discussed in 24 scientific articles (clicking on terms brings to the whole thesaurus entry where one can ask for a schema).